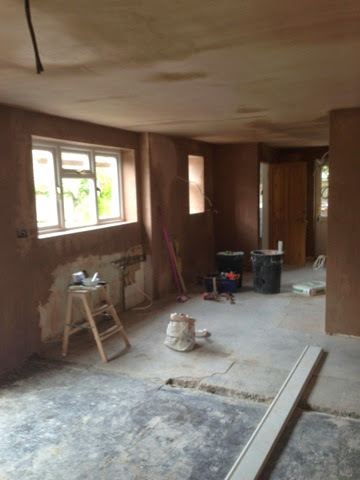 Everything has been cleaned out of this room and the plastering has been done! Yey! This was done the saturday before we went on holiday. 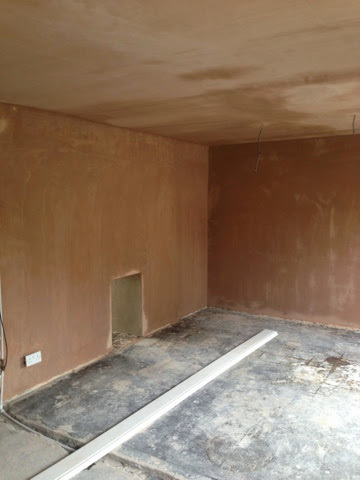 These pictures were taken when the plastering had just been done. 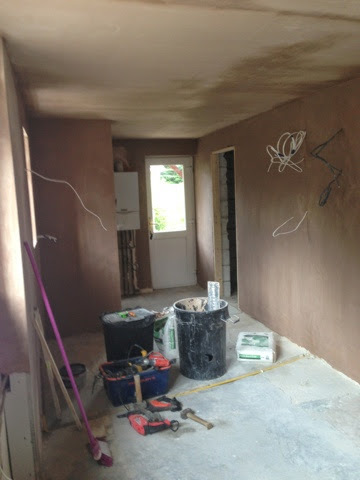 The walls will now have a week to dry out whilst we are away and when we return we can get started on the painting.